‘My week spent at Joya: arte + ecología was a full immersion in the arid natural environment and astonishing landscape of the location and a stimulating creative exchange with the artists I met in the residence. I could take my time to focus on my artwork to try and find new means of expression. I think that the arts residency is an intimate experience that gives you the chance to investigate your work in a new way. The time I spent at Joya was wonderful. Thanks to Donna and Simon’s warm hospitality, I felt relaxed and encouraged to create’. 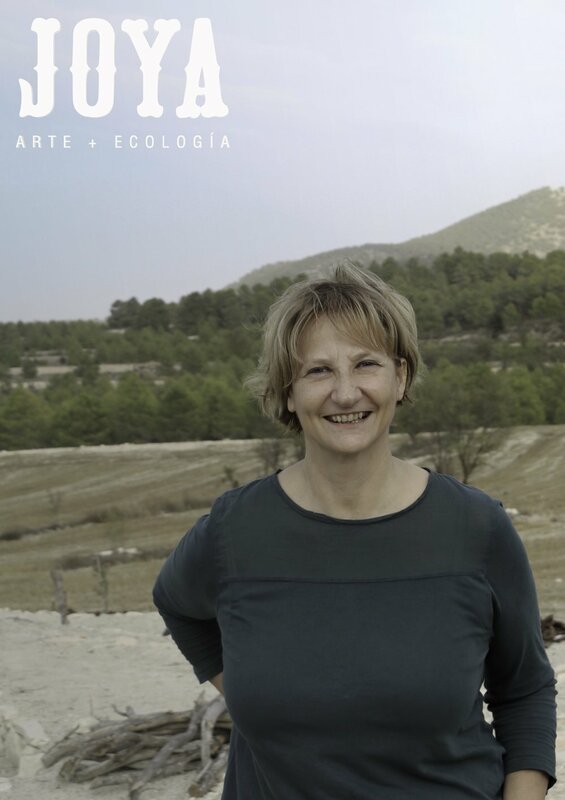 Francesca Zanella joined Joya: arte + ecología from Italy with the intention of exploring the links between mountain outlines and the sky. The environment around the Comarca de Los Vélez, the beautiful landscape and the aridity of the land around Joya inspired. In her artwork she experiments with non-toxic printmaking and she often uses recycled materials and all kinds of natural elements and papers to build and bind her art books. Thanks to original binding techniques her books are forged like creative tridimensional sculptures, while their pages are completed using from monotype to direct printmaking. During her week stay in the artist residence in October 2016, Francesca worked with a range of media ­- drawing, watercolour, monotype, collage, printmaking on paper and cartonboard – to create her art books, and experienced new creative binding techniques giving life to books shaped like a star, or a 180° open accordion with the purpose to integrate the book pages in the surrounding environment and dissolve the outline of the earth into the sky. Francesca is a visual artist based between Padua and Venice, where she studied book art, print-making, contemporary graphic and xilography at the Scuola Internazionale di Grafica. Most recently she received a Masters in Children’s Illustration at the University of Padua. She has taken part in individual and group exhibitions in Italy and abroad. Simutaneously she has held various workshops for children based on her artistic research.